One of Jersey’s top tourist attractions, Jersey War Tunnels is a historical site like no other. Life in Jersey took an eerie turn during WWII, with slaves being brought in from Poland, France, Russia & Spain to dig an underground hospital for the injured German troops. A grand scheme which left an impressive maze of concrete tunnels, now transformed into a fascinating, interactive and emotionally vibrant museum. Welcome to a world almost in black & white, where you will learn what islanders endured during the Occupation and how inventive they had to become to survive. The current trend of indulging in vintage experiences suits the War Tunnels down to the ground! Why not start your journey from St Helier Liberation Square and hop onto one of Jersey War Tunnels Shuttle Buses, by Jersey Bus Tours. The bus will be open-top when the weather allows, giving passengers a lovely view of the island on the way. With your entrance ticket you will be issued a passport and a new identity. Your “new self” lived through the war and has tales to tell which you will recognize and follow during your visit. This is a great way to feel part of the story and identify with what people lived through. It is now time to enter the tunnels and let history unfurl itself in front of you. The exhibits have been brilliantly designed to give you a vivid and poignant account through many photos and films. Beware of the chill within the tunnels – the sun might be warm and glowing outside but the temperature inside is rarely above 60 degrees Fahrenheit and you will be underground for about an hour. Back to the 21st century, the Jersey War Tunnels is also home to the lovely Pantry café. Fresh delicious cakes are served all day, as well as light lunches and refreshments. Conveniently opened from 10am to 6pm, do indulge in their sun terrace and local cuisine. Don’t miss paying a visit to The LoveBirdToo shop as well: quirky, charming and unusual – we’ll say no more – you are guaranteed to find some unusual souvenirs and presents to take home to friends and family. 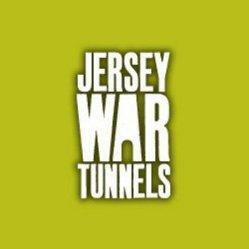 The Jersey War Tunnels are open from 1st March until 25th November 2014, Monday to Sunday, 10:00am till 6:00pm with the last entry at 4:30pm. For more information have a look at their website: www.jerseywartunnels.com. This entry was posted in Places to Visit and tagged Jersey War Tunnels. Bookmark the permalink.